Williamstown Magic is a junior basketball club based in Williamstown, drawing players from Williamstown and surrounding suburbs as far as Altona, Footscray and Newport. We have teams in both the Altona Bay Basketball Association, with games played at the Altona Sports Centre and the Westgate Basketball Association with games played at Whitten Oval. The club was founded in late 2005, entering five teams in the Summer 2005/2006 season of the Altona Bay Basketball Association. 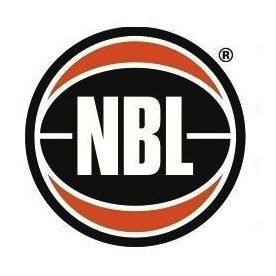 Recognising the need for another basketball club in the Williamstown area, the Burgess, Jones and Knight families had decided to form the club, and since then the club has grown steadily. An important milestone in the growth of the club was the decision to formalise the structure through incorporation, which was finalised on 10 September 2008. Since then the club has continued to grow in the number of teams participating and in 2013 we entered teams in the Westgate Basketball Association. NEW PLAYERS MUST ORDER UNIFORMS as early as possible to ensure delivery before the season. Orders may take 4-6 weeks. All uniform orders are now ONLINE, please follow the menu above and have your players username and password handy. If you require assistance, please contact the uniform coordinator at uniforms@williamstownmagic.asn.au. Registrations for the Winter 2019 season is open for the Altona and Westgate . See the registration page for further details. We are required to wear clash tops whenever we play a BCL team, and other Magic teams.